Before you put pen to paper, find out how to assess your business's goals and objectives. You've decided to write a business plan, and you're ready to get started. Congratulations. You've just greatly increased the chances that your business venture will succeed. But before you start drafting your plan, you need to--you guessed it--plan your draft. One of the most important reasons to plan your plan is that you may be held accountable for the projections and proposals it contains. That's especially true if you use your plan to raise money to finance your company. Let's say you forecast opening four new locations in the second year of your retail operation. An investor may have a beef if, due to circumstances you could have foreseen, you only open two. A business plan can take on a life of its own, so thinking a little about what you want to include in your plan is no more than common prudence. Second, as you'll soon learn if you haven't already, business plans can be complicated documents. As you draft your plan, you'll be making lots of decisions on serious matters, such as what strategy you'll pursue, as well as less important ones, like what color paper to print it on. Thinking about these decisions in advance is an important way to minimize the time you spend planning your business and maximize the time you spend generating income. To sum up, planning your plan will help control your degree of accountability and reduce time-wasting indecision. 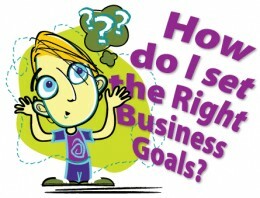 To plan your plan, you'll first need to decide what your goals and objectives in business are. As part of that, you'll assess the business you've chosen to start, or are already running, to see what the chances are that it will actually achieve those ends. Finally, you'll take a look at common elements of most plans to get an idea of which ones you want to include and how each will be treated. Close your eyes. Imagine that the date is five years from now. Where do you want to be? Will you be running a business that hasn't increased significantly in size? Will you command a rapidly growing empire? Will you have already cashed out and be relaxing on a beach somewhere, enjoying your hard-won gains? Answering these questions is an important part of building a successful business plan. In fact, without knowing where you're going, it's not really possible to plan at all. Now is a good time to free-associate a little bit--to let your mind roam, exploring every avenue that you'd like your business to go down. Try writing a personal essay on your business goals. It could take the form of a letter to yourself, written from five years in the future, describing all you have accomplished and how it came about. As you read such a document, you may make a surprising discovery, such as that you don't really want to own a large, fast-growing enterprise but would be content with a stable small business. Even if you don't learn anything new, though, getting a firm handle on your goals and objectives is a big help in deciding how you'll plan your business. What will be its annual revenues in a year? Five years? Will it be a niche marketer, or will it sell a broad spectrum of good and services? How comfortable am I taking direction from others? Could I work with partners or investors who demand input into the company's management? It doesn't necessarily take a lot of money to make a lot of money, but it does take some. That's especially true if, as part of examining your goals and objectives, you envision very rapid growth. Energetic, optimistic entrepreneurs often tend to believe that sales growth will take care of everything, that they'll be able to fund their own growth by generating profits. However, this is rarely the case, for one simple reason: You usually have to pay your own suppliers before your customers pay you. This cash flow conundrum is the reason so many fast-growing companies have to seek bank financing or equity sales to finance their growth. They are literally growing faster than they can afford. First, there's the amount of control you'll have to surrender. An equal partner may, quite naturally, demand approximately equal control. Venture capitalists often demand significant input into management decisions by, for instance, placing one or more people on your board of directors. Angel investors may be very involved or not involved at all, depending on their personal style. Bankers, at the other end of the scale, are likely to offer no advice whatsoever as long as you make payments of principal and interest on time and are not in violation of any other terms of your loan. You should also consider the amount of money you're likely to need. Any amount less than several million dollars is too small to be considered for a standard initial public offering of stock, for example. Venture capital investors are most likely to invest amounts of $250,000 to $3 million. On the other hand, only the richest angel investor will be able to provide more than a few hundred thousand dollars, if that. Almost any source of funds, from a bank to a factor, has some guidelines about the size of financing it prefers. Anticipating the size of your needs now will guide you in preparing your plan. The third consideration is cost. This can be measured in terms of interest rates and shares of ownership as well as in time, paperwork and plain old hassle. Believe it or not, part of planning your plan is planning what you'll do with it. No, we haven't gone crazy--at least not yet. A business plan can be used for several things, from monitoring your company's progress toward goals to enticing key employees to join your firm. Deciding how you intend to use yours is an important part of preparing to write it. Do you intend to use your plan to help you raise money? In that case, you'll have to focus very carefully on the executive summary, the management, and marketing and financial aspects. You'll need to have a clearly focused vision of how your company is going to make money. If you're looking for a bank loan, you'll need to stress your ability to generate sufficient cash flow to service loans. Equity investors, especially venture capitalists, must be shown how they can cash out of your company and generate a rate of return they'll find acceptable. Do you intend to use your plan to attract talented employees? Then you'll want to emphasize such things as stock options and other aspects of compensation as well as location, work environment, corporate culture and opportunities for growth and advancement. Do you anticipate showing your plan to suppliers to demonstrate that you're a worthy customer? A solid business plan may convince a supplier of some precious commodity to favor you over your rivals. It may also help you arrange supplier credit. You may want to stress your blue-ribbon customer list and spotless record of repaying trade debts in this plan. For most of us, unfortunately, our desires about where we would like to go aren't as important as our businesses' ability to take us there. Put another way, if you choose the wrong business, you're going nowhere. Luckily, one of the most valuable uses of a business plan is to help you decide whether the venture you have your heart set on is really likely to fulfill your dreams. Many, many business ideas never make it past the planning stage because their would-be founders, as part of a logical and coherent planning process, test their assumptions and find them wanting. Test your idea against at least two variables. First, financial, to make sure this business makes economic sense. Second, lifestyle, because who wants a successful business that they hate? Answer the following questions to help you outline your company's potential. There are no wrong answers. The objective is simply to help you decide how well your proposed venture is likely to match up with your goals and objectives. What initial investment will the business require? How much control are you willing to relinquish to investors? When will the business turn a profit? When can investors, including you, expect a return on their money? What are the projected profits of the business over time? Will you be able to devote yourself full time to the business, financially? What kind of salary or profit distribution can you expect to take home? What are the chances the business will fail? What kind of work are you going to be doing? How many hours will you be working? Will you be able to take vacations? Will you earn enough to maintain your lifestyle? Does your family understand and agree with the sacrifices you envision? Sources: The Small Business Encyclopedia, Business Plans Made Easy, Start Your Own Business and Entrepreneur magazine.